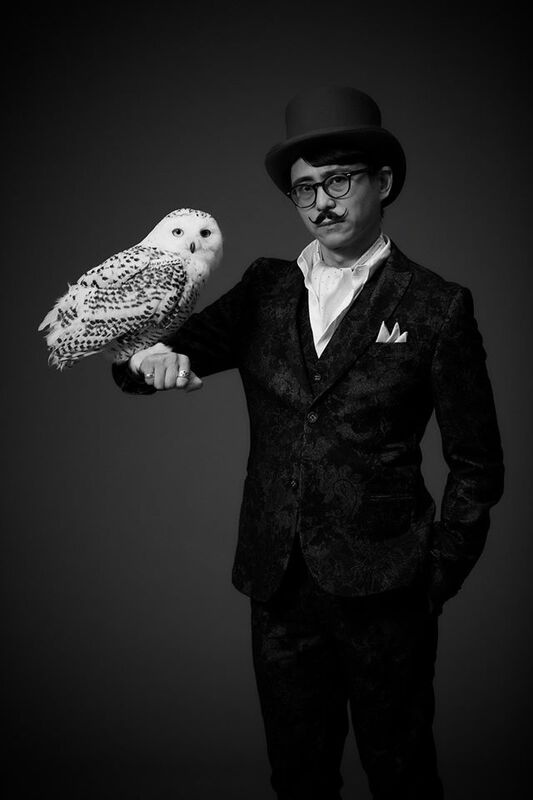 Swery 65: Back With White Owls, Disguises And Plenty Of Creative Spirit | "DESTROY ALL FANBOYS!" After splitting with Access Games, creator Hidetaka Swery Suehiro, SWERY 65 (or just Swery to fans and friends) didn’t exactly vanish from sight. While tweeting and traveling, he also managed to appear as a pin-up in a game developer calendar (sporting a great painted on tattoo), drink lots of coffee and keep fans entertained with plenty of thoughtful social media posts on a wide range of subjects. Well, the man is back to work with a new studio named White Owls Inc. and a few new projects in the works. Don’t expect a game to appear suddenly out of thin or thick air (he may look like a magician in that photo, but nope, he’s just Swery) and definitely don’t expect a followup to D4, as that IP is still in the hands of a different studio. While you’re waiting for what’s next (looks like a book project of some sort), feel free to peruse White Owl’s online shop and maybe buy something cool for yourself or someone else. I have the feeling I should finally interview the man one day, but I’ll let him work because I’d rather enjoy what he creates over riddle him with my oddball queries. More likely than not, I’ll end up replaying Deadly Premonition: The Director’s Cut just because it’s still a kick in the head to discover something new I missed out on. This entry was posted in Commentary, DAF, Features, Humor, Updates and tagged Coming Soon, Hidetaka Swery Suehiro, Swery 65, VGA 101, Videogame Appreciation 101, White Owls Inc. by geelw. Bookmark the permalink.